What do you expect when science takes one great step in a country where superstition still prevails in a large outcome among the people? Ignorance, perhaps hatred! The life of Physician Subhash Mukhopadhyay was not an exception when he succeeded in creating India’s first test tube baby and world’s second; that too at his home. In the 70s’, he might not get the attention and praise he deserved, but the time has come that we know about this great physician aka scientist and give his soul the due respect. Let us have a look. Born on 16th January 1931, Dr. Subhash Mukhopadhyay was brought up in Hazaribag, Bihar. 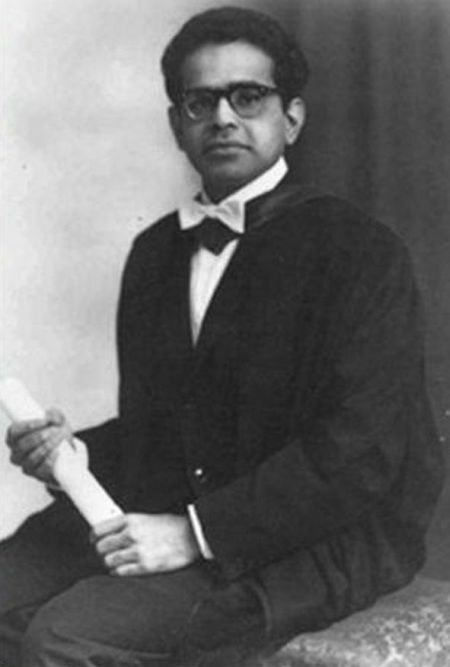 After completing his schooling at Hazaribag, Dr. Mukhopadhyay came to Kolkata. He graduated with an honors degree in physiology in the year of 1955 from Calcutta National Medical College which was under the affiliation of University of Calcutta. Later in 1958, he got his doctorate in reproductive physiology from University of Calcutta and earned his second doctorate in reproductive endocrinology from the University of Edinburgh. Being one of the best physicians in India, Dr. Mukhopadhyay worked with Sunit Mukherjee and Dr. Saroj Kanti Bhattacharya. However, his work first created a buzz in the society, when he became the first Indian Physician to perform the In Vitro Fertilization process at his home which resulted in the first Indian test tube baby, ‘Durga’ in the year of 1978. Dr. Subhash Mukhopadhyay was the second person in the world to perform this in vitro fertilization process successfully. But the 70s’ society did not take this in a good term, event other medical experts and the Government of West Bengal denied his claims. He faced social banishment, bureaucratic negligence and insulted by the Government of West Bengal instead of praise. Even he was denied his visa when he prepared to present his in vitro paper at the International Convention in Kyoto in the year of 1980. After these chains of rejections and humiliations, Dr. Mukhopadhyay finally ended his life on 19th June 1981. The forgotten story of Physician Dr. Subhas Mukhopadhyay – not so forgotten! However, the genius achievements of Dr. Mukhopadhyay cannot be hidden all the time. Later in 1986, Harsha Vardhan Reddy Buri was considered as the first test tube baby of India. The creator of this test tube baby Dr. T.C. Anand got the documents of Dr. Subhash Mukhopadhyay when he attended a Science Congress in West Bengal. After going through all the documents and talking to the parents of Durga, Dr. T.C. Anand became certain that it was not him who discovered the first Indian test tube baby, it was Dr. Subhash Mukhopadhyay. In 1997, he took a year to study all his papers related to in vitro fertilization and approached the Government again. In 2002, the ICMR appointed a 12 member committee to research on this subject. And finally, in 2003, Dr. Subhash Mukhopadhyay’s work was finally recognized. And in 2008, his achievement was finally sealed with an official stamp. Since the ancient ages, we have seen that the path of science has never been easy. Many famous scientists faced rejections and humiliations, and Dr. Subhash Mukhopadhyay was one of them. It is pathetic that his life had to end that soon. But thanks to Dr. T.C. Anand that the forgotten story of Physician Dr. Subhash Mukhopadhayay, will not be forgotten anymore.